1993=2016 " are all owned by: Rev. Dana C. L.
Heinzism - The Spiritual Path and Beliefs of Casey Heinzism ™ "DNatureofDTrain_CaseyJones"
But, I like this new Tk one better so far. :) . Special Notice: July 3rd 2013: New domain names to this page are http://www.heinzism.com and all .tk domains were dropped do to malware and spyware issues...and are no longer under my control. The http://www.heinzism.zzn.com was discontinued do to service provider closing. Note: Are you looking for the Heinzists ™ , or Tasbim ministry? You have the right place. But After long thought and Consideration. We had decided ministry is not the right term. Heinzism is a spiritual path, and yes we are going back to using the original name Heinzism, and will no longer actively use the name Tasbim as we experimented with before..
Disclaimer: Heinzism ™ is not Heinz, and never is never to be Shortened up to Heinz. We are not associated with any Heinz companies, charities, incorporation, Family Names, or products of any make whatsoever. Heinzism is not the Ministry name, it is also not a congregation or coven, It is the name of my personal spiritual tradition. That I offer people of any faith, religion, or spiritual path to practice, as long as they agree or follow the Heinzist Way, or Principles. If you feel the need to Shorten the name then use Heinzist :). The only name it is affliated with is my DBA of Casey Heinzism. Heinzism ™ - The Spiritual Path and Beliefs of Casey Heinzism ™ "DNatureofDTrain ™ "
I ask you to please forever shine your golden face towards the souls who are truthfully searching for their way, and may Spirit forever lead them as well. Now Below is DNatureofDTrain ™ and His Communities Sponsors! Heinzism is an eclectic spiritual path that is based on learning and studying the basic tenants, teachings, and traditions of all spiritual cultures. Heinzists learn all they can from other faiths, and cultures and live their own spirituality out in truth. Through their learning, and searching from their own personal and spiritual experiences. The people who live by the Heinzist Way can participate in other spiritual paths and rightfully label themselves as a Heinzist, Tasbim (truth as by I am), Ludeian, eclectic, or use no label at all. Labels are not important living your faith or path in truth is. Heinzism can be seen as either a path, faith, philosphy or a religion, but as the founder I feel that one of the main goals of a Heinzist is to unite eclectics, and people of other faiths on common ground, as well as help faiths adapt to other cultures and identify with different religious and spiritual customs. Just a few of the transitions..
TASBIM was chosen after having two rename this ministry contests. The name means Truth As Said By I am... But Later out found out that was the name of Someones Candy Store is why I we are not Using that name..
"I was thinking of Heinzism one day, I received a vision of the Heinzist symbol with a Rainbow around it. I also heard the words in the voice of a gentle lady that stated. "The Prayer warriors of the world." Then I got another image of this big white temple, with many children inside. There were Hebrew children, Muslim Children, Shaman Children, Hindu Children Christian children, children of all races and religions. They were teaching each other about their culture. They were praying together at times and separately at times. They were learning laughing and giggling together. They focused on their similarity and not their differences. I Chose the word Variegated,as it meant different colored markings. Every Heinzist will have their own beliefs and paths, but we will all have marks of each other faith as well. I am not to sure about what this vision really means, but I have seen this temple a few times in my dreams. I pray that I will see the day when such a place exists on earth. So from this vision, is where I chose the name Variegated Heinzism. This is the faith I am. I hope to find other Heinzists. Christian, Hindu, Hebrew Heinzists, I hope to form a council, and hope that we can all work together to help each other as well as those who are still searching, on their spiritual paths." in August 2003 - Spirit Said, "Go share Heinzism with the Rainbow people, Rainbow tribe, and other Rainbow Groups. You are a Warrior of the Rainbow, and Child of Spirit. Any Child of Spirit is a Rainbow Child. I ask you to Share this with others.. Soon you will find other Heinzists." - This message I received repetitively in a dream, and when I state Spirit in this sense. I mean the message is from my Spirit Guide. (I trust Spirit, but at the same time, I recently heard of the American Indian Prophecy.. keeps being brought up. I do have American Indian Blood. But I was adopted, so I am lost to my blood and heritage roots. But as I state in Heinzism I believe firmly we are all one family under God/Spirit/Allah/Higher Power. If my group is the start of this prophecy coming true I will be honored. But for now. I just trust Spirit's messages. I share where I am suppose to, and what I was told to share. It was after I shared the two visions above when people had shared the American Indian Prophecy to me. I think this means we are on the right track. :). It is from this vision is why I added the Rainbow to the old Heinzist symbol. People of the Heinzist faith do not have a formal particular label. So if asked what religion or spirituality you might hear them reply Tasbim, Ludeian, Mixed, eclectic, or Heinzist. They also may be heard stating one or more religions with Heinzism, Tasbim, or Ludepath. (Example 1)If one belonged to the Christian Faith, and firmly believed in and practiced the path of a Heinzist, they might call themselves, Christian Ludeians, Christian Tasbims or Christian Heinzists, and state the name of their religion as Christian Heinzism, Christian Ludepath, or Christian Tasbim. (Example 2)If one belonged to the Hindu Faith, and firmly believed in and practiced the path of the Heinzist, they would be Hindu Ludeians or Hindu Heinzists, Hindu Tasbims and state their faiths as Hindu Ludepath or Hindu Heinzism, or Hindu Tasbim. A person that follows the Ludepath/Heinzist way and does not have another faith...might just call themselves a Variegated Heinzist, Ludeian, or Tasbim with Variegated Heinzism, Tasbim, or Ludepath as their religion, or they can just say Heinzism, Tasbim, or Ludepath :). I believe in one Universal Spirit who can take on any shape or form. (Sometimes multiple forms.) Sometimes these different forms are mistaken for other Gods and Goddesses. "Spirit is within all things and all things are within the beauty of Spirit." - D. C. L.
Remember Spirit is benevolent, merciful, and forever loving. Spirit blesses in many ways an accepts all ways of worship if it fulfills the person's spiritual life without causing harm or infringing upon the will of others. Spirit accepts all, and leaves it up to us and our karma (Law of Return - What goes around comes around.) on when and whether we decide to return or not. Spirit is so awesome and overwhelming to our comprehension that we will never know all there is to know about him/her/it. Spirit does not have a gender but can appear as either male, female, intersex, transgendered, or genderless. Most people use he or she depending on which religious, or spiritual tradition or path they were brought up in. Spirit wants you to always do what you believe is right, based on what you understand and know. In Heinzism that is always Harm None, Love, and Respect the rights all things. For in Heinzism I believe that we are all sons and daughters and also, are a part of Spirit. Spirit has sent us many prophets and ascended masters. (To some of the some of the Masters are believed to be Spirit's human incarnates.) To list a few Buddha, Bahaulla, Confucious (Lao Tzu), Jesus, Mohammed, White Buffalo Calf Woman, Moses and many many more. (Peace be upon them all.) Just an example of what we could learn. We could Learn Love, from Jesus, Compassionate reasoning from Buddha, Devotion from Mohammed (peace be upon him), as well as many other lessons, from the others. Spirit also speaks, and teaches to each of us personally. This is done in many ways, through other people, through animals, books, plants, even cloud formations in the sky. Spirit can reach us through anyone and anything, at any time, in ways we expect and in ways least expect. Images of Goddess & God or Both are to only help you visualize or focus upon your Higher Power and to aid in meditations. Some adherents believe that images shouldn't be used, here in Heinzism they maybe used as long as you are not worshiping the images but only praising what they represent so you have a free choice, on whether to use symbolism and images or not. Prayers are a tool of contacting Spirit, spirit(s), or ancestors,for thanking, praising, exchanging energy, and also worship. Dress clothes and jewelry, in worship, are worn as promises symbolism and in a way of being God, Goddess, or Spirit like. Dress is a tool that can be used in honor and worship, and also self expression. Some wear jewelry as a promise, reminder, or for protection all of the time and take off when they bathe, swim, or sleep or sometimes not at all depending on what it's made out of. 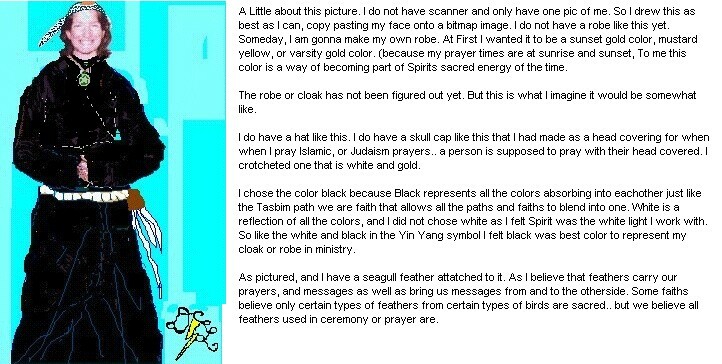 (This is for those who wear talismans, and symbols that attract protection or healing energies.) In Heinzism most wear their jewelry as a meaning or symbolism of some sort for comfort, devotion, attracting certain energies, and protection. Others wear certain jewelry for certain ceremonies or rituals. (many wear little medals or symbols of the Saints, Gods, Goddesses, or Animals they are devoted and dedicated too.) But whether a Heinzist wears jewelry or not it does not matter. Just remember that Spirit will only let things happen to you if it will make you stronger in the end. On the Heinzist path you can wear jewelry for anything as long as it is not for the purpose of raising jealously or negative emotions in others. We are all different but yet seen are seen as equals in the eyes of the Spirit. Divination is a way to check and see if you are headed on the path,according to your goals in life. It also gives you personal hints to see if you need to change something or if a certain change you are waiting for is on its way. No matter what the reading says, you can persuade the hand-of-fate with your own actions, and choices. Spirit gave us a free will. To either be part of his/her positive plans or negative plans. Our whole lives are planned out like a choose-your-own-adventure-book and with your choices and actions will all decide what will happen to you in the afterlife. It was Spirit and you that decided what you wanted to learn and do in the life you are living now, and also what to do in the life hereafter. (reincarnation, host, spirit, spirit guide, rejoin with god as one, live on a different plane,etc.) This also depends on what you know and personally believe according to what the divine has shown you, and your own experiences within your personal spiritual journey. Purify yourself once weekly according to your beliefs. Follow other ritual observances and adapt your own if you have to, so it can fit within your lifestyle. Look into other traditions and religions find out which rituals or ceremonies suits your, way of honoring, and connecting to Spirit. Remember no live sacrifices it harms the life of another. It is important to make sure that the rituals or ceremonies used are allowed to be practiced by those not of their faith. We are forbidden to take, or adapt practices that are not Universal or opened to us from a practitioner and/or worshiper of the original faith, religion,band, or path. They can consume anything as long as it is thanked for giving up its life, or done in the way that their scriptures, or traditions have taught them. (No sacrifices.) Don't forget the observance of special holidays and certain fasting. All things maybe eaten in a healthy moderation. Pray in the morning, evening, night, and either before or after anything is consumed. A Heinzist can pray out loud or silent. (They can also just think the prayer. Spirit hears and knows what you think.) They can also say a learned ritual prayer or just a made-up one. They can also pray in any position or style, as long as it harms nothing. They can seal themselves in anyway, a cross, pentagram, eating or walking. They can meditate or do a certain exercise to focus, understand or perform better during prayer.
! !This is Not the Same as practices, ceremonies, and rituals. If you are borrowing a ceremony or ritual from another path, that you don't belong to make sure you know what you are doing full circle. And also make sure your are not harming a religion's reputation while doing so. If this is a very sacred or a practice that only their faith does, make sure you get permission, and proper training from a leader or a certain member before you try to practice any of their ceremonies or beliefs around other people, or where someone else may be affected by it.!! !No Matter what these religions say, In Heinzism, there is to be no discrimination on people by their race, gender, intellect, other religions, species, origins or sexuality. Think of Spirit's utmost law for all: Harm None! You don't have to believe in all of everything from each religion. (Or nothing of many.) Spirit will put you on the path you are to take, if you are truthfully searching for it. Just remember the words "Harm none" and "Do that which is right" universal laws found in some form in every religion. These are the main an most important laws of Heinzism. But the real path of a Heinzist is following the Heinzist Way, as best as you can at all times. Remember that as Heinzists we live up to our own values. We do not force our values onto others, but we stand up for what we believe. Are you a Heinzist? Please tell use where you are, and what type of Heinzism. Post a spot on our guest map. :). Do you Agree with the beliefs above? Want to be a Heinzist? How to Become a Heinzist.. taken from my groups files. New! Free Heinzism Email Service.. Comments, Questions or suggestions can be emailed to. To see and learn about all kinds of different religions. And if you want to join a mailing list studying all different groups, and sharing information click the Reltol link. If you want to join or Help out in the Heinzism Faith join the ULCofHeinzism list. ULCofHeinzism -Sharing The Beliefs and spiritual path of DNatureofDTrain. (OffSitelink)World Prayers - Gathering the great prayers from all spiritual traditions around the world into a unified nonprofit archive; for the purpose of inspiration, study and cross cultural appreciation. This has a link to all the current files as of now. I still need to update the link about, and add three pages. Heinzist Files. This is the Heinzist Intentional Community called - The Heinzist tribe. It is in its forming Stage, and open to both Heinzists and non - Heinzists, However all membership entries are decided via tribal consensus. Nostradamus Online Community Links Page - Very good and information site. Thanks for taking interest. Bless ya and take care. If you know of any charity legal charity you want me to add a link to below let me know I will. I prefer one on one, hand to hand charity more than organizations. I mean personally volunteering myself or helping out myself. To actually do the work. street, or lend 35 cents for a phone call.. that sort of thing :). Or Volunteering at Caritas or the Salvation Army, or raising money in a fund raiser... Doing your own hands on stuff. You do not have any money you can give? Or Materials? Well.. I found some pretty neat site you can visit daily, and sponsors will donate. If everyone on the internet would participate in these click sites. I bet we could make a different the world has never imagined. Still trying to get my webrings for this site to show up. When the permanent name of this ministry is decided. I'll Create a seperate ring for it. Here is the store in interested. Please support us click and join our affiliates links.